When you wake up and can’t tell what Mother Nature has in store for you, the Superleggera has your back. This ultralight packable jacket is small enough to fit in your jersey pocket so the second the weather takes a turn you can be covered. 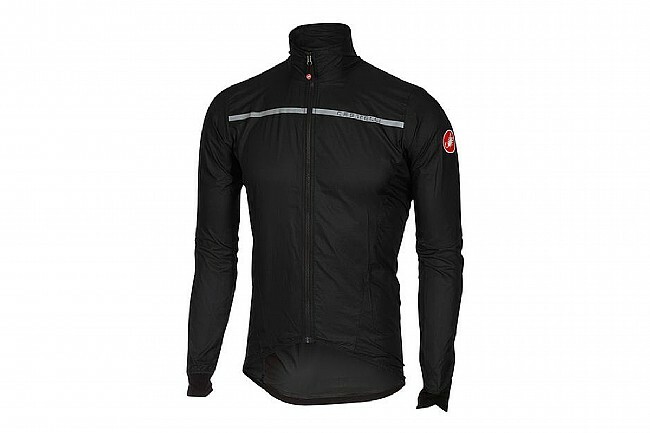 From a brisk summer morning that turns into a sweltering afternoon, to a foggy fall day sure to bring some passing showers, the Superleggera will keep you warm so you can keep on pedalling. 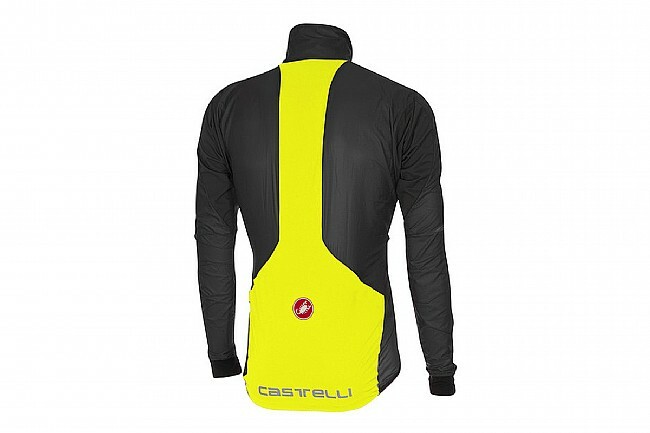 Castelli uses Pertex® Quantum base fabric’s tightly woven fine yarns to keep the wind out and provide a bit of water repellency. A Stretch Torrent waterproof insert protects your lower back and spine from roadspray and rain without impeding breathability. It may not stand up to a sustained downpour, but it’ll see you safely through those passing showers that can so easily chill you to the core. Shower Pass beats both hands down in quality, fabric and overall design and is cheaper than the SupreLeggera. So why did I choose this? Good question. The only reason i never took the shower pass is that there was excessive fabric around the waist (see my review on the Shwr Pss) The Super Leggera gets 5 stars for fabric weight and packability. Hence Super Leggera! Which it most certainly is. It looses 4 stars for build quality. For example, the cuffs are 1mm neoprene, stretchy, great, no probs there. But, where they join to the sleeve seam, there is no stretch. So very difficult to get on and off whilst riding. Looses major points for this alone! Have to be able to remove whislt cycling in a group. 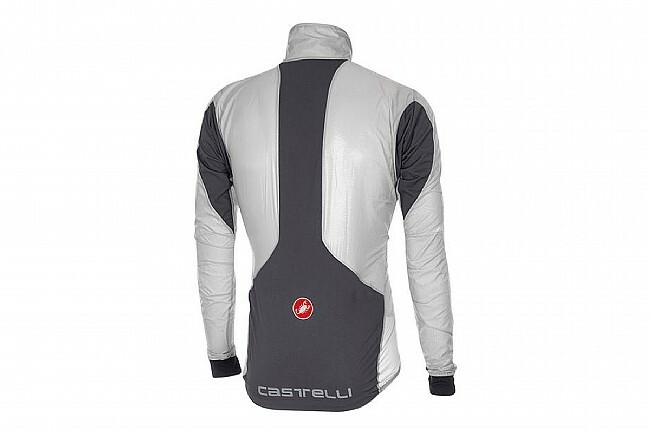 There is a design feature w Castelli that they offset the one side of the zip when fully zipped to your neck. So one side is about 10mm highr than the other. Very annoying. Better if zip was offset left or right. In the end, I took this over the Shower Pass but to be honest, i am not impressed by it. Also, more $ than the Shower Pass surprisingly. Orderd XL. Fits average. Flaps a bit on the shoulders over 30kmhr. Waist and arms are good length and fit. I usually order med in Craft, which Is my preferred cycling brand. I am 5.92ft (511')long arms, 162, 39 chst, 32 wst. I would be interested in looking a the Craft featherlight or something similar.